Subscription boxes are fast becoming the way to receive new services and products and they come in many different forms. Consumers can choose from jewellery to clothing to toiletries to perfume…and now, to coffee! So if you’re a coffee lover, you’ll definitely want to know more about what they are and which one to choose. Coffee subscription services make a great gift too, most people love coffee and everyone enjoys opening a parcel! There’s nothing more exciting than receiving a mysterious box weekly, fortnightly or monthly and opening it up excitedly, especially when it’s not your birthday! Another huge benefit in subscribing to a coffee service is that you get the opportunity to try new and interesting blends; perhaps coffee that comes from a different source that has a different roasting quality or even a completely new flavour. Coffee subscriptions develop the palette and help you to sample something that you might never have considered before. Not only do coffee subscriptions give benefits to you, the customer, they also help the original roaster too. It’s an immensely convenient way to shop for coffee because you know your coffee is always going to arrive – that way, you don’t find yourself panicking when your stock levels run low! Also, having your coffee delivered to your door eliminates the need to visit your local coffee shop or coffee roaster so you don’t even need to leave the house! You remove the time you spend browsing looking for something new and exciting because it’s done for you. It’s Often Fresher than the Coffee Shop Varieties! Coffee subscription services offer really fresh roasts and deliver it vacuum packed, locking in all that exquisite flavour! While on the subject of freshness, here’s something else to consider. When your coffee comes from your local coffee shop (or wherever you tend to buy yours from) it’s already been distributed by the roaster so it’s come a long way, from its country of origin to the bagging factory, to a warehouse, to your coffee shop and then to your kitchen. However, order yours through a coffee subscription service and you’ll get a whole new aspect when it comes to fresh coffee. You immediately miss out on the warehouse and coffee shop stops meaning it’s fresher than your regular supplier. We promise you’ll notice a difference in flavour! Yes, buying a coffee subscription service usually ends up being entirely cheaper than when you buy from a coffee shop. You cut out the middleman and the coffee shop’s overheads so you’ll likely make quite a significant saving, some coffee subscribers report that they save up to 15% on coffee by using this type of service. Depending on the subscription service you choose, you can either enjoy a monthly coffee surprise with perhaps, new flavours, new roasters and different aromas or you can tailor your subscription to your own preferences. Either way, you’ll probably find that you get more choice than at your usual coffee retailer. Plus, if you do select a surprise subscription – it’s always thrilling to discover what you’ve got when you open that subscription box! Look at the coffee choice. You need to think about where the beans are sourced and what is available for your preferred brewing preference. If you like variety, look for a subscription company that source from lots of different countries. You might want the element of surprise too as this can be exciting but if you have a strong preference to select your own coffee you won’t want this option; you might prefer a subscription service that allows you to customise your coffee. Next, think about how your coffee is delivered. If you’re at work all day, you won’t want to be chasing after delivery companies or rearranging delivery especially if your coffee levels are running low! 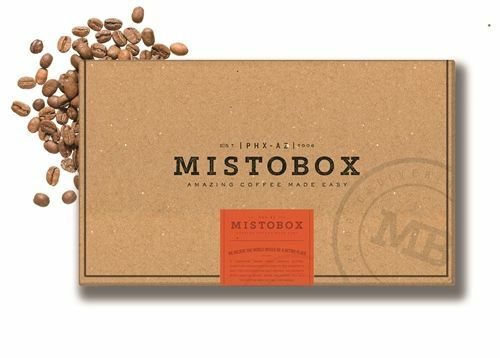 Lots of subscription services now offer coffee that slips through the letterbox. Remember, some companies only send out subscription boxes to their home country so if you live abroad but you like the sound of them you might be able to request international delivery. Check where your preferred subscription service delivers, there’s nothing worse than going through all the options, then getting to check out and finding out that you aren’t in the right country! You also want a safe, fast and affordable delivery, remember, coffee doesn’t keep its freshness for long. Look into the frequency of delivery and make sure it’s in line with your coffee consumption. 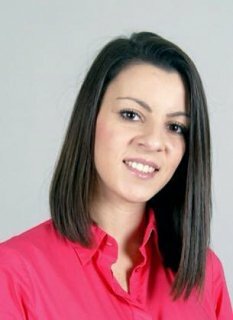 If you drink coffee all day, every day then you’ll want frequent deliveries but if you only drink it once a day or reserve it for leisurely weekends, you might not need it so often. Before subscribing, check out the price, shop around and see what other subscription services offer. If you find a similar service that’s much cheaper, look into it but by all means, don’t spend more than you have to for the same products although check the quality is what you want. Customer Service is always paramount. You want to know you’re in good hands so read the reviews if there are any. Bad customer service is never welcome! Founded by a husband and wife in Brooklyn, New York, this is a small business that is growing fast. The beauty of small is that you get a very personal feel and Driftaway really goes the extra mile to deliver personal preferences. 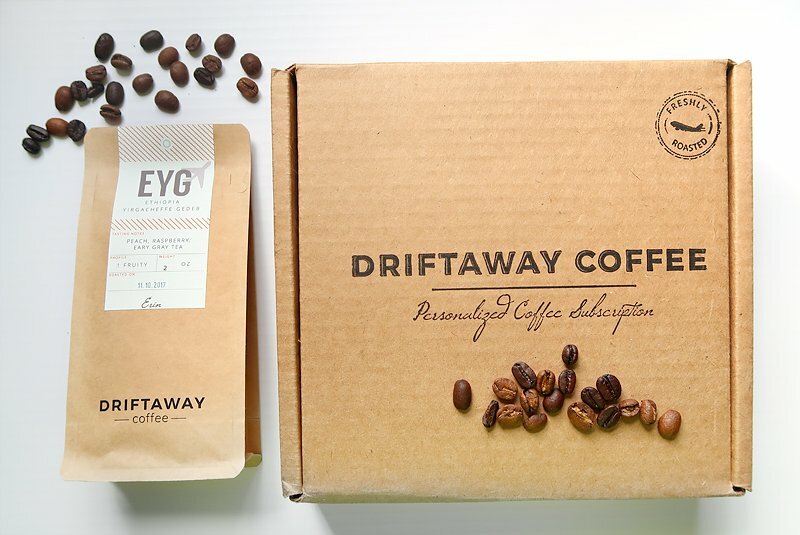 On your first order from Driftaway, you’ll get four different coffee samples delivered directly to your door. Then, you pick the one you like best and you start your regular subscription so it’s a little different to the other services available. Coffee is delivered fortnightly direct to your door. What’s good to know is they ship internationally too and the cost is included in the order. This is a fairly well-established coffee subscription service that has been going for 6 years and is well-respected in the industry. It sends quality coffee from multiple roasters and there’s the option to choose “Adventure” or “Favourite” boxes, depending on whether you want to try something new and exciting or you want to stick with what you already know and love. Each box contains 340 g of fresh coffee and delivery is available weekly fortnightly, three weekly or monthly. There’s lots of information on the website about coffee making, coffee origin and coffee farming and boxes can be customised to your specific preferences. The disadvantage is that this company only ships in the USA. Bean Box is a local coffee subscription service, based in Seattle, the founders are Matthew and Ryan. They are really well known for serving up Seattle Roasters and famous for their fresh coffee. Bean Box gives you the opportunity of a single bag of coffee or a bag of 4 different coffees in smaller containers. 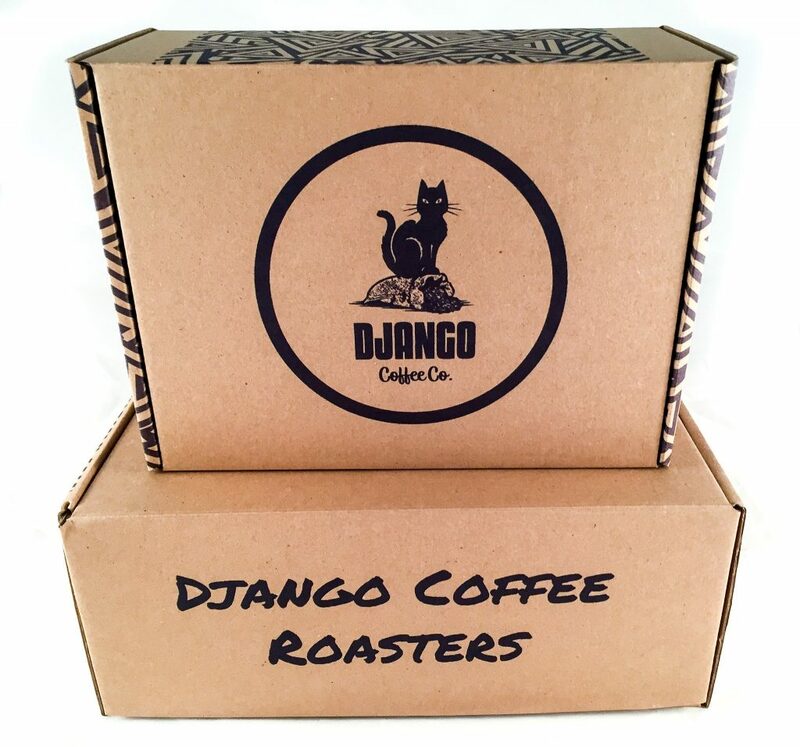 One of the newer coffee subscription services, Django Company sends out their coffee weekly. So, as an example, you sign up for a monthly subscription and pay for it, then you receive a different 250 g bag of coffee every week. You don’t have to renew your subscription, simply reactivate it when your supplies run low. You can choose from a monthly subscription with weekly coffee delivery, a three monthly subscription with fortnightly delivery and rolling weekly, fortnightly, three weekly or three monthly subscriptions making it convenient for everyone. Ethically sourced, all coffee is roasted by hand in small batches and mostly, sent the same day. It’s free delivery for UK customers (as they’re based in the UK) but the good news is, they do offer international delivery. This award-winning coffee delivery service is a multi-roaster subscription and gives you a huge amount of variety. That means you get to experience lots of different flavours from all around the world. A monthly box slips through the letterbox and contains three bags of 155g each. This is a good subscriptions service to choose if you like to sample other flavours that you might not ordinarily try, it’s easy to use and you can gift a subscription to another coffee lover if you want. Like PACT below, you can leave it to the coffee experts to select the flavours for you or you can give them your own preferences and if you ever want to update your preferences, you can do so too. Other benefits include no tie-in to a contract and you can cancel a subscription whenever you want. It’s also worth knowing that when you choose Blue Box you get ethically sourced coffee from 17 different countries, hand-roasted in the United Kingdom with a taste-guarantee and with free delivery. The downside is they only deliver in the UK (currently). This subscription services offer a variety of coffee, from pods to beans to grinds so there’s something for everyone, no matter what your preferred brewing method. You can also choose how often you receive your coffee and you can tailor your preference to your palette or let them make the choice for you. You can cancel your subscriptions whenever you want and you can change your delivery to fit in with your schedule). PACT sends out their invoice when they dispatch your coffee too, so you can keep an eye on your bank account! Customer service is exemplary, if you even need to ask a question, just pop an email over and they get back to you very quickly. In brief, there are three plans, HOUSE, SELECT and MICRO-LOT at varying prices, all ethically sourced and delivered direct, packaged within 7 days of ordering so you’re guaranteed real freshness. 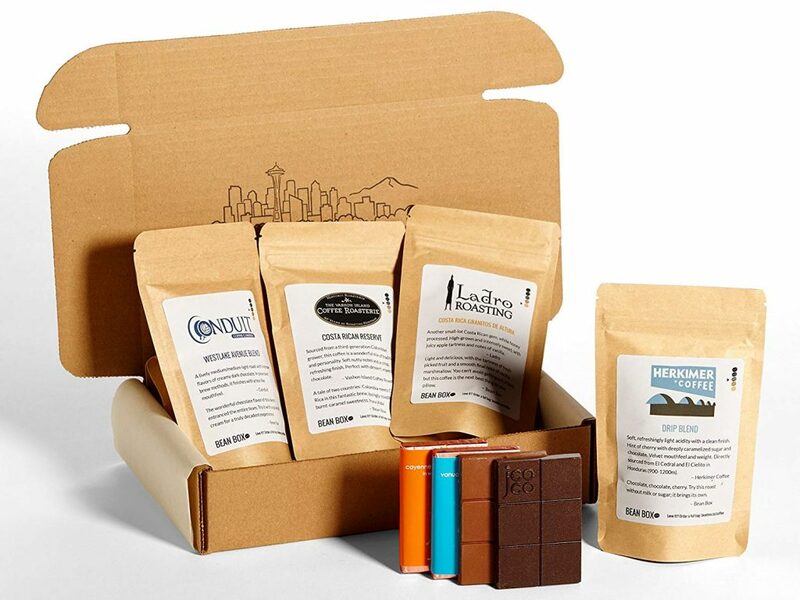 This coffee subscription service sends out coffee weekly. All coffee is freshly roasted so the flavour is locked in and you get all the benefits of really great tasting coffee. As well as offering a quality subscription service, the website has plenty of coffee information and lots of resources. When you subscribe, you get access to additional information about coffee farming, how the coffee is made and roasted and about the flavours. There are also superb videos which give really detailed information, great for the coffee aficionado! There’s even a Has Bean app so you can keep up with the latest coffee news when on the go! Enjoy weekly, fortnightly or monthly subscription packages or get someone you love a subscription card for them to redeem. Every coffee subscription corresponds with their In My Mug videos that are published weekly which means that you get the added benefit of community spirit by tasting the coffees together with the brand owner, Steve, plus you learn more about the beans and where they come from. Their subscriptions are available internationally too via FEDEX. This coffee subscription service is based in London and works with coffee farmers worldwide. The service includes a choice of two plans, a Discovery subscription that surprises you monthly with a bag of beans from an exciting country – different every time. You get 250g of hand-picked freshly roasted beans along with information on the coffee, how it was farmed and shipped. There’s also advice on brewing and serving. Or, there’s the Destination plan which allows you to pick what you want. While this is a British company, they ship internationally. So there you have it, everything you need to know about coffee subscription. The question is, which will you choose? We’d love to know if you go with any of our ideas or if you find something entirely different. Don’t forget to tell us all about it. 2 It’s Often Fresher than the Coffee Shop Varieties!